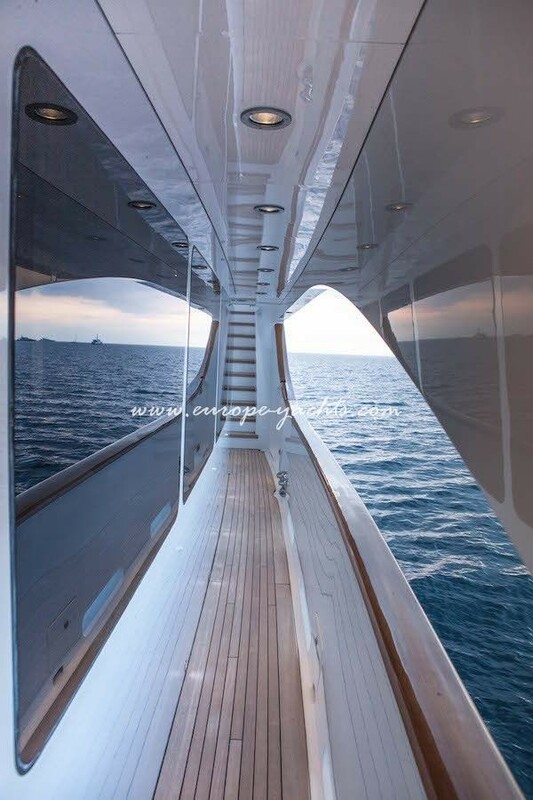 When arriving onboard Sea Shell, the space deck will surprise you. 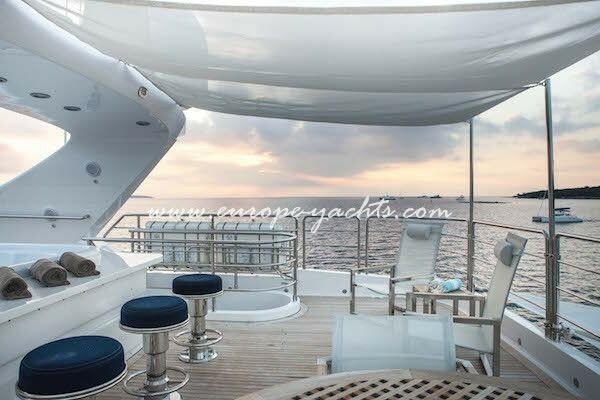 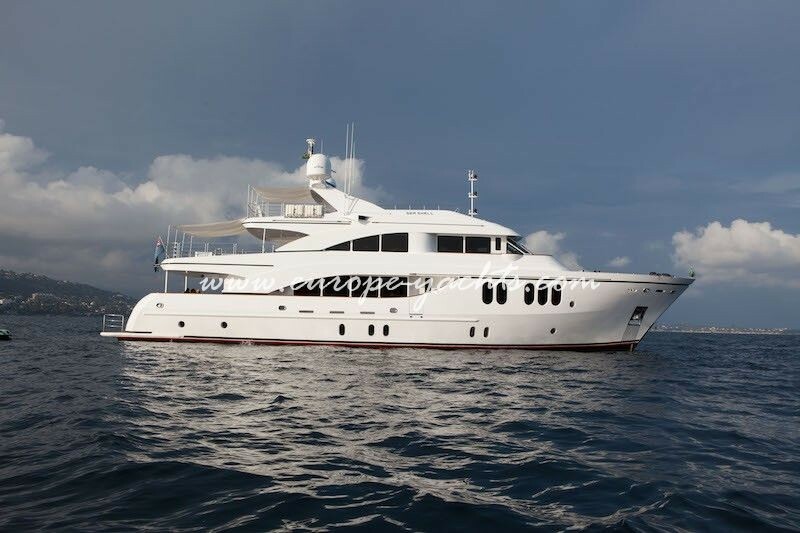 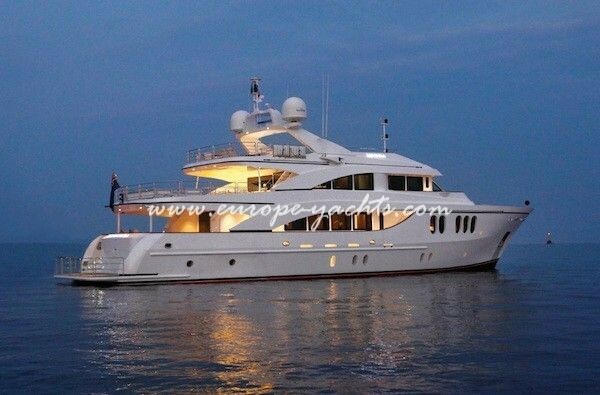 Her large aft deck will allow you and your guests to enjoy a great welcoming cocktail. 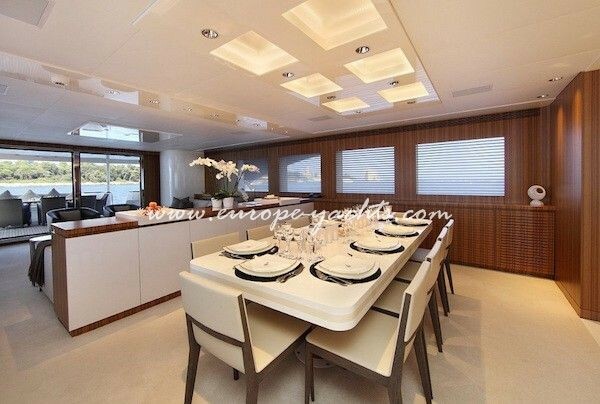 Entering the saloon, you will see the minimalistic style with Italian furniture.The dining area can welcome up to 10 guests. 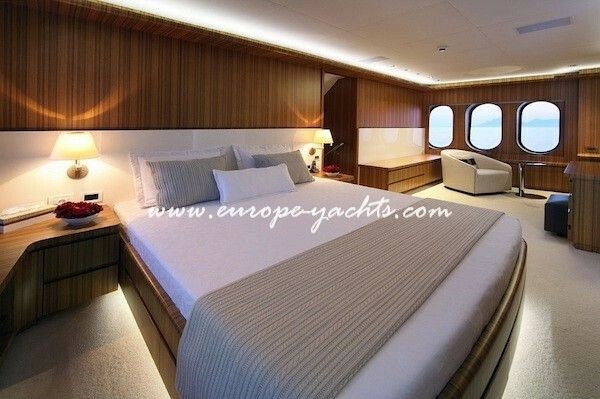 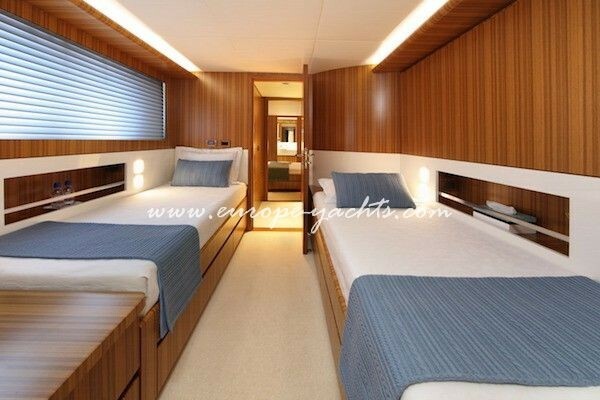 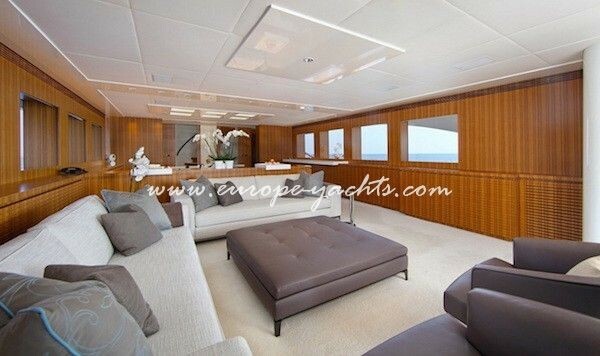 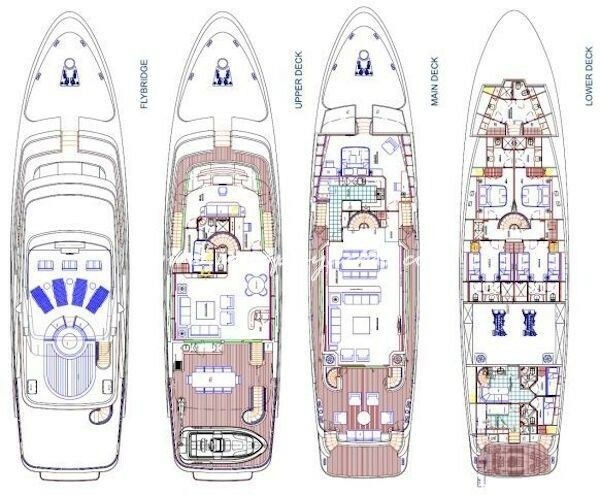 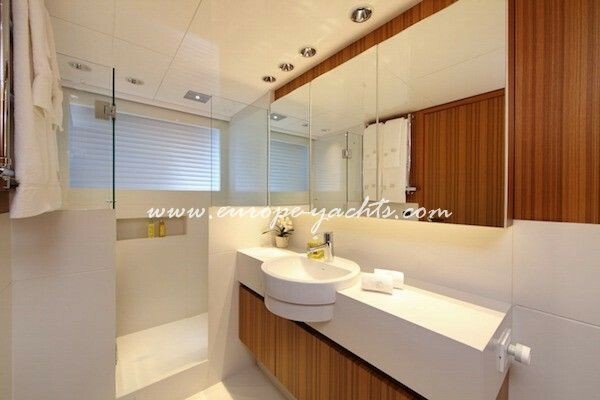 Following on the main deck, you will enter the full beam Master cabin with her office area and walking in closet. 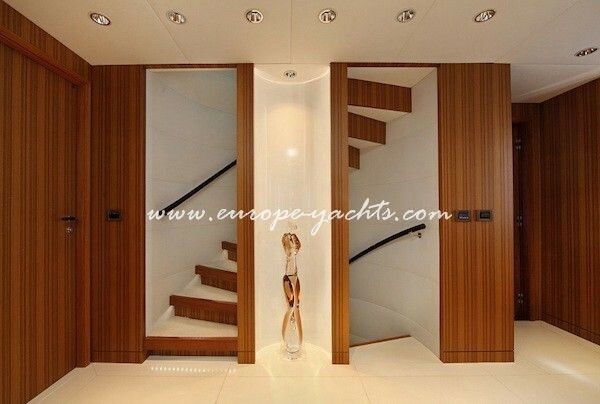 The ensuite facilities proposes a large walking in shower. 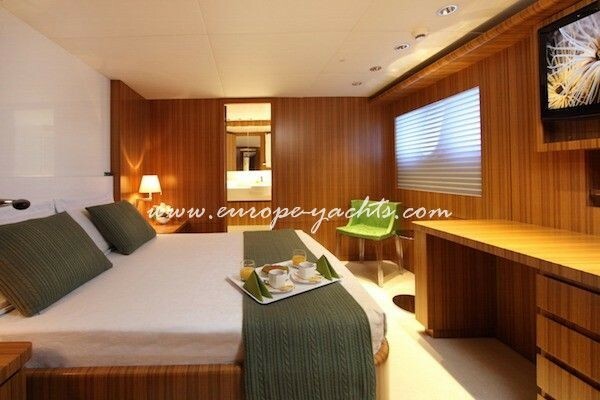 On the lower deck, you will find the 2 mirror image VIP cabins and the 2 mirror image Twins. 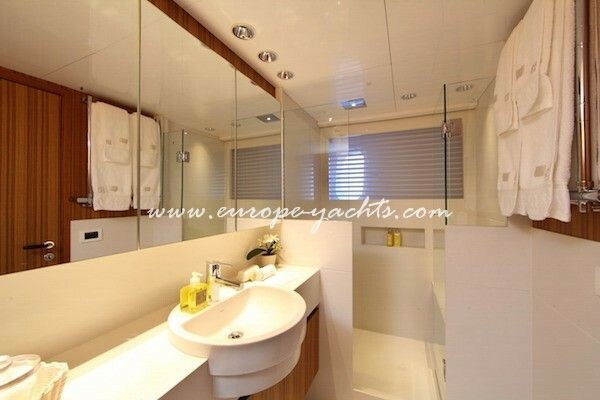 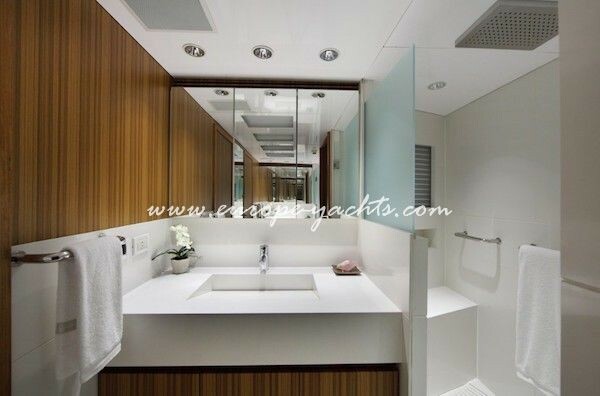 All 4 cabins have ensuite facilities with walking in showers. 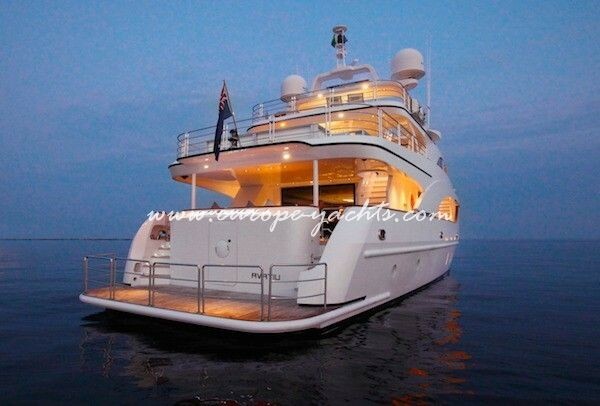 The beach style skyloung on the upper deck offers a large screen TV with karaoke system, a bar and a game table. 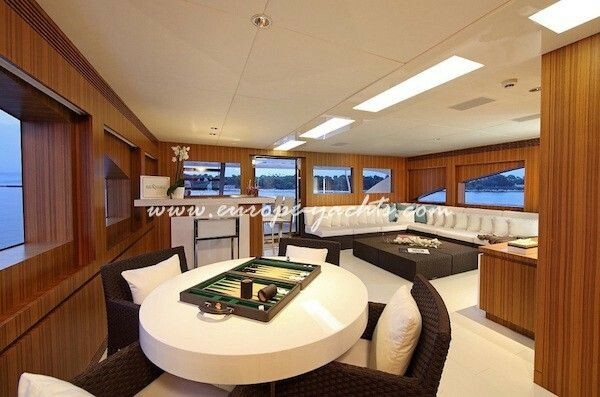 Arriving on the aft upper deck, the modern decoration continues with her white structural furniture. 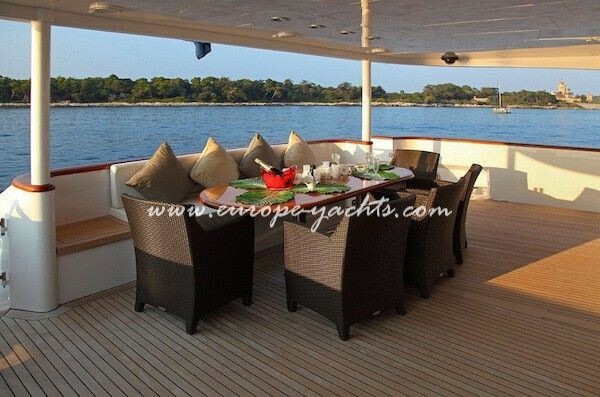 The table can welcome up to 10 guests seated. 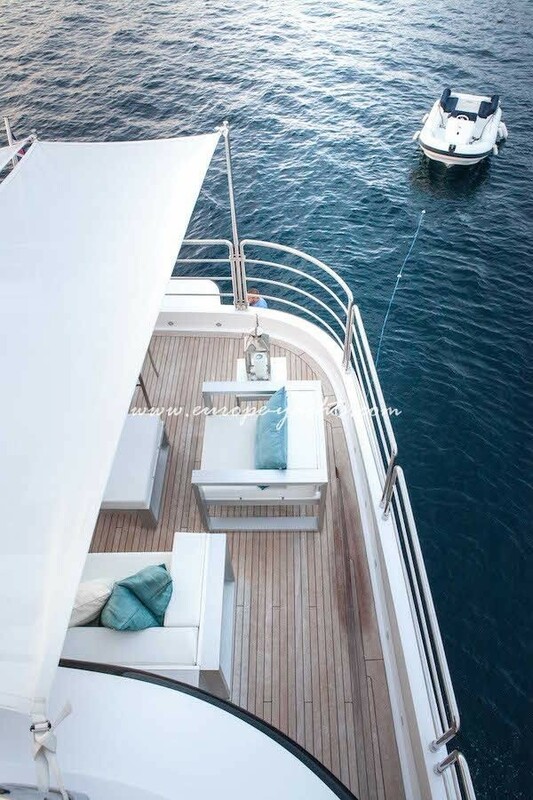 The sundeck on Sea Shell will surprise you by her size too. 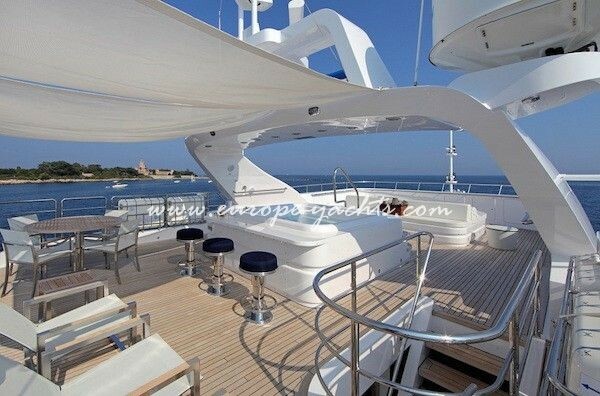 The are several spots to sunbath or to enjoy a nice drink. 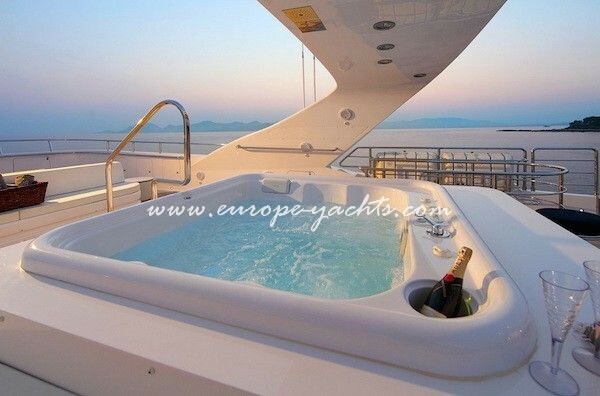 And at the center the jacuzzi. 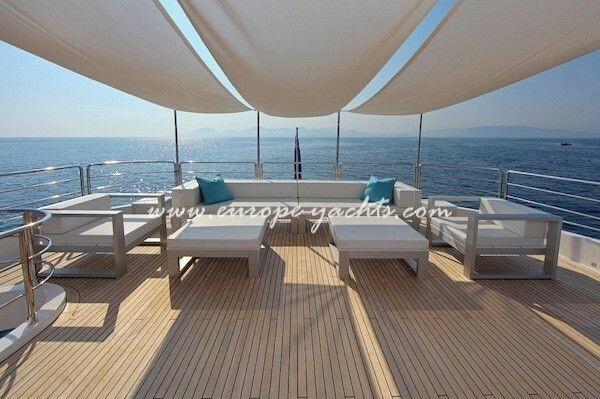 Of course the upper deck and sundeck have awnings if you wish to have shade. 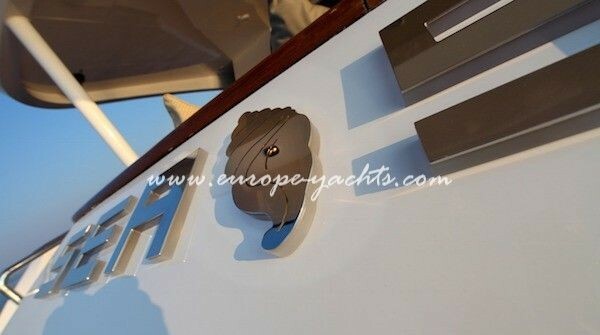 Captain Vincent Rose and his crew of 5 will be pleased to welcome you on board and they will definitly make sure you have a fantastic charter onboard Sea Shell.